Tony Breslin has developed the Use Your Vote concept and campaign over a number of years, drawing on his extensive background and networks in Citizenship Education and public participation. Over the past twelve months he has developed a team to take the initiative into the public realm which includes Phil Bowen at Pigeon Penguin (who is developing the useyourvote.com website), Kate Dixon at Dixipix (Kate is a former BBC television and radio producer who worked for many years on The Sunday Politics), Richard O’ Sullivan at Callisto Design (who is responsible for the Use Your Vote and Breslin Public Policy brand identities), Luke Sills, an Associate at Breslin Public Policy (who is serving as Campaign Administrator for the project), and Tony Thorpe, author of the Citizenship Foundation’s award winning Young Citizen’s Passport and a co-founder of the Foundation (for his drafting of much of the text). Tony would like to place on record his thanks to Paul Tipper at Dijit for helping him to secure the useyourvote.com domain and to his friends and former colleagues at the Citizenship Foundation for their continuing encouragement and support. Ann Bowen-Breslin, Bev Amaechi, Kevin Harris and Mike Moores have been a constant source of expertise, inspiration and wisdom throughout the development process. The seed-corn funding for Use Your Vote comes from Breslin Public Policy Limited, and the copyright for the project remains with the business. Breslin Public Policy Limited has applied to register Use Your Vote, useyourvote.com and the associated brand identity as trademarks. Dr Tony Breslin is a public policy analyst and writer, specialising in education, participation and the third sector. He is Director of the consultancy Breslin Public Policy Limited and Chair of the awarding body Industry Qualifications. Tony is an Associate in the Creative Learning and Development team at the RSA, the Centre for Education and Social Justice at the University of York, and the London Centre for Leadership in Learning at the UCL Institute of Education. Between September 2001 and August 2010, Tony was Chief Executive at the Citizenship Foundation, the leading education and participation charity. Prior to this, he was General Adviser, 14-19 Education, in Enfield, North London. A teacher by profession, he has taught and held management and leadership roles at schools in Haringey and Hertfordshire. Tony is also a Trustee of Adoption UK, a member of the Academy Improvement Team at Oasis Community Learning, and a Visiting Fellow in the School of Education at the University of Hertfordshire. A former Chair of Human Scale Education, the Association for the Teaching of the Social Sciences, and Speakers Bank, he was also the founding Director of the Orwell Youth Prize, which he saw through to a successful launch in Spring 2015. Tony has served as a Chief Examiner at GCSE and a Chair of Examiners at A level. He is Chair of the Governing Body of Bushey and Oxhey Infant School in Hertfordshire and of the Academy Council at Oasis Academy Enfield. He is widely published in the fields of participation and education. Breslin Public Policy Limited was established in September 2010; focused on education, participation and the third sector, it works at the interface between public policy and professional practice. Current and recent clients include Adoption UK, Beyond Philanthropy, the Bridge Group, the British Educational Research Association, the British Olympic Foundation, the British Paralympic Association, Cambridge University Press, Character Scotland, Culture, Creativity and Education England, the Diana Award, East Sussex County Council, Keynote Educational, the London Centre for Leadership in Learning, the London Organising Committee for the Olympic and Paralympic Games (LOCOG), Marriotts School Stevenage, Navigation Learning, Oasis Community Learning, the Office of the Children’s Commissioner, Ofqual, the Orwell Youth Prize, the RSA, Stevenage Sixth, the UCL Institute of Education, the University of York Department of Education and vInspired. "Voting is the lifeblood of democracy and participation the glue that binds a healthy society! 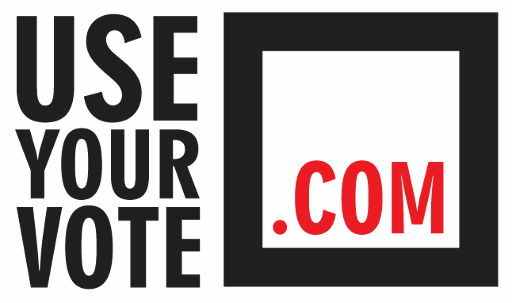 Our vote is our voice: healthy communities, societies and democracies require us to use it!" The Welsh National Assembly consists of 60 elected members. They use the title Assembly Member (AM) or Aelod y Cynulliad (AC).